Another major upgrade, another set of bugs. Among all such complains, issues with battery backup are usually more frequent. Despite being part of the premium tier, Google’s older flashships are not the exceptions. Team PiunikaWeb in fact highlighted the issue before, where we cited a lot of individuals from all around the globe and their feedbacks to the Google Issue Tracker and Pixel Community. Almost five months later, the issue is still at large. This is just one of the examples – you can find many such screenshots inside the linked threads and reports. It’s a known fact that Lithium-based batteries wear out with time. Original Pixel and Pixel XL were announced in the last quarter of 2016, so the aging factor is a considerable variable. But given the same phone on Oreo can perform longer than Pie must indicates the lack of software based optimizations. 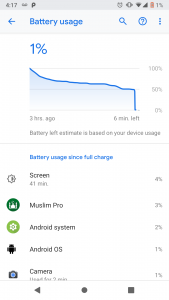 I am having serious battery drain problem since I upgraded to Android P few days ago. None of the apps are showing any excessive battery usage. I restricted many apps (chrome, linkedin, whatsapp…), still the problem persists. Tried restarting the phone. Didnt help. This was never the case with Android O. The battery would easily last for more than 18hrs for my usage and I didn’t even have to put the apps on restricted battery mode. Does anyone have any idea what I can do to resolve this problem? On r/GooglePixel, they even maintain a monthly megathread on the same topic. The shortage of battery life after upgrading to Android Pie with older Pixels are exponentially growing. Comment from discussion cherrymxorange’s comment from discussion "Battery Megathread (January 2019)". Comment from discussion legitbean’s comment from discussion "Battery Megathread (January 2019)". Comment from discussion codebrewer’s comment from discussion "P3XL January Update = Dying overnight". I have this weird issue. It appeared around Christmas. I tend to leave my phone with wifi and data off during the night. Since about a month ago I get a huge drain when I do this. About 3% or even more per hour. I may lose 20-30% when I sleep. No Ambient Display on, no data, not anything else. Phone signal is excellent and moreover this drain does not happen when I leave the phone with 4G on. I lose about 1% or less. It’s only when I disable data-wifi. I also tried with airplane mode on and drain was minimal. With wifi on, I get some drain but it’s acceptable (my router is a bit far). I used both BBS and GSam and I cannot find the culprit. It doesn’t have anything to do with any 3rd party apps and wakelocks are minimal. I get RCS Phone as the top drain. I know that this replaces the Android System in some cases, but I’m wondering that maybe it’s the RCS Service or something (because it got an update during December and the problem appeared around then). January update did not change anything. Drain during normal use and the rest of the day is pretty normal. Any ideas? Anyone else that may have experienced something similar? A search inside Pixel User Community indicates how vast the issue is, and Google’s reluctancy and other proofs are directly pointing towards an unpolished software.